Ok so it's not summer yet and currently it has rained every day for a week (big ploppy rain that really messes with my hair) but that doesn't stop us hoping and getting ready for sunshine. I stumbled upon this great inflatable water/sand pit (although it says aged 3 I thought we'd give it a go). So whilst it rained outside, I was indoors pumping up this great little pit and filling it with balls (another great steal at £5 for 50 balls). Admittedly Bubba was more interested in trying to scoop the balls out with the spade into the bucket which came with it (and failing miserably) and so ended up just lobbing the balls around the living room. It took me an age to pick them all up again so might not do that again. I can imagine that she will get into her stride once its filled with water in the garden when the sun is shining and I can have a sit down and relax whilst she plays. At what point did my food become fair game for Bubba? It doesn't seem to matter what I'm eating or even if she is also eating but she has to try what I've got. If on the loose she clambers over everything to get to my food before I finish it, if strapped into the high chair she points and angrily tells me in her own way that she needs what I have. I usually oblige because I think its important that she tries and likes a variety of foods as both Hubby and I like to eat (or at least try) most foods. My main concern is when she has already eaten or doesn't seem particularly hungry. I've even found that if she has only just eaten a whole Weetabix and fruit, my toast is still on the menu and she will happily tuck into it off my plate. At the moment her appetite seems to be on the verge of piglet status and she can polish off nearly everything put in front of her and I'm not sure she would stop. The only thing that doesn't work is if I put food (she has rejected and then she see's) on to my plate. 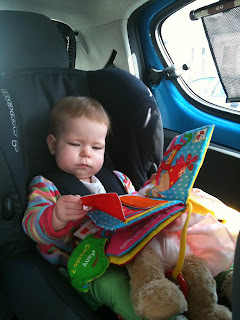 Then she can happily ignore it and go for whatever else I have on the go. Now she will crawl out to the kitchen and point at her lunchbox or the fridge and today she managed to unzip her bag (which was ready on the bench to take out with us) and sort through what she did/didn't want. 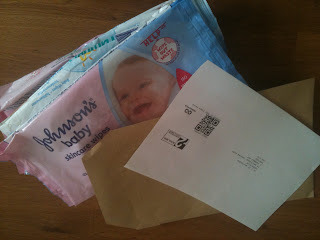 Don't worry this isn't a new exercise craze but since Bubba was quite young, I've been sending our unwanted baby wipe packs to a company that then makes them into something else. You may have seen the advertising on Johnson's packs or their website which tells you all about it, don't feel alarmed as it's the easiest thing in the world to do. You just join Terracycle and can choose what you want to collect, you just press a button and they send you a link to a label by email which you then print and stick onto an envelope (stuffed full of your used packs) and send it to them. For every pack you send in, you get points which 'make prizes' in the form of money you can donate to charity. Either a charity of your choice or one of theirs on the website. They make really groovy things with the used packs and also Ella's kitchen is involved and their packets get made into lunchboxes etc. It's so easy and I managed it from early on with severe baby brain (so it can't be that hard). So come on...Lets 'wipe out waste'. I've always loved cooking and was a fairly adventurous cook but since Bubba arrived I have mainly looked for ways to reduce my cooking time and have easy meals (but not convenience meals). So this is my easy (cheating) Paella. We used to make Paella from scratch but I recently came across the Paella seasoning packet in the supermarket and it works a treat (hence why its a cheat meal). 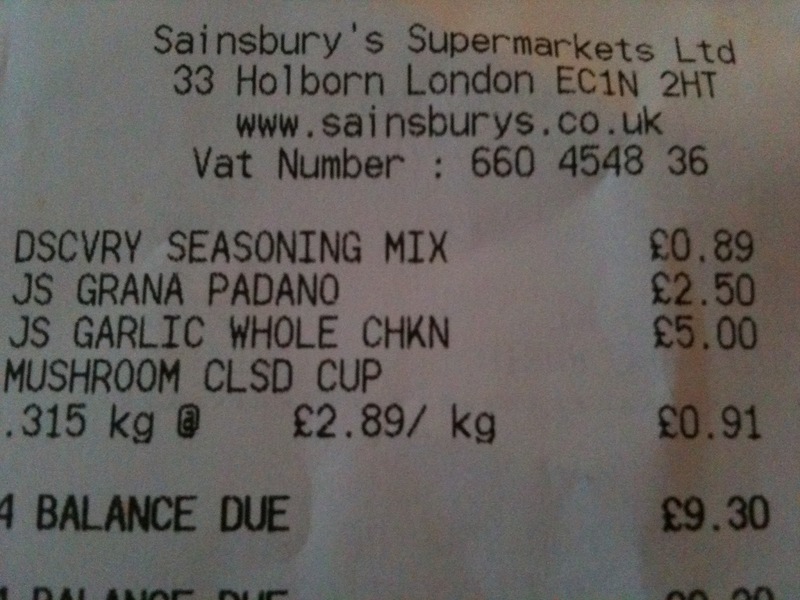 As you can see, I usually use Chorizo, pepper, onion. paella rice and the seasoning. Into this we either add chicken or prawns (and peas although I totally forgot them this time!!!). The seasoning packet has a recipe on it (as does the paella rice packet) but it's a case of gently frying the onions (although the packet says do the rice first but I like the onions sweated down a bit). Add the rice and then the chorizo and pepper. Next in is the seasoning, making sure all the rice is coated with all the loveliness, then add chicken stock but can use veg stock if you prefer. Cover pan (I use tin foil over our paella pan) leave it for 15 minutes simmering (check after about ten minutes to see if it has soaked up all the juice). Pop the prawns in and cover again for a further 5 minutes until they have gone nice and pink but are still plump. I have a nasty habit of putting them in too early and ending up with tiny shriveled pink things! Serve up and enjoy. I was enjoying it so much that I forgot to take the final photograph, hence why there is a knife and fork stuck in the bowl! Over at Kate Takes 5 the theme this week is if Bubba had five Fairy Godmother wishes and I got to decide what they'd be, what would I wish for her? I'd hope she had the ability to look at a situation and think 'hell yeah I'll have a go' whether it be travelling the world (although I'd be a bag of nerves) or trying a new food. It'd be great if she grabbed life and had real fun with it. Already trying to scale the stairs! Following on from above, I don't want her to be reckless but more measured in her approach. Have a go at things but always have a backup plan, be safe in relationships and know when a situation isn't right and how to remove herself from it. Always work out how she will get home again once she's had her fun. Not to constantly covet what others have as this ultimately only ends in despair and know that whatever she has is cool and if she hasn't got it then it doesn't matter. 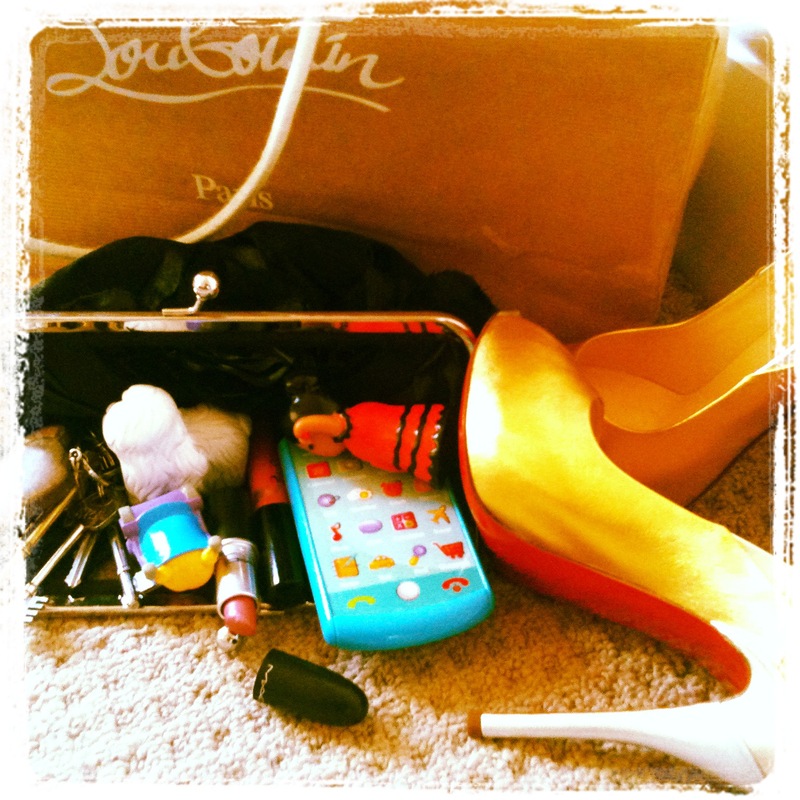 Life isn't all about material possessions and she can make do and that is good enough. It's people and experiences that matter not 'stuff'. I wish this is something she experiences, true friends who are always on the end of a phone, email, street. It's when the going gets tough that friends can see you through and I hope this extends to Hubby and I too. As she grows I hope she values our friendship (because I myself count my parents as my best friends and people I can turn to no matter what). I want her not to worry as much as I do and instead to realise that she (as she is) is good enough. Her contribution to any situation is a valuable one and she has a voice that is strong and true. To value herself will give her confidence and give her the ability to make the right choices for herself in any situation. 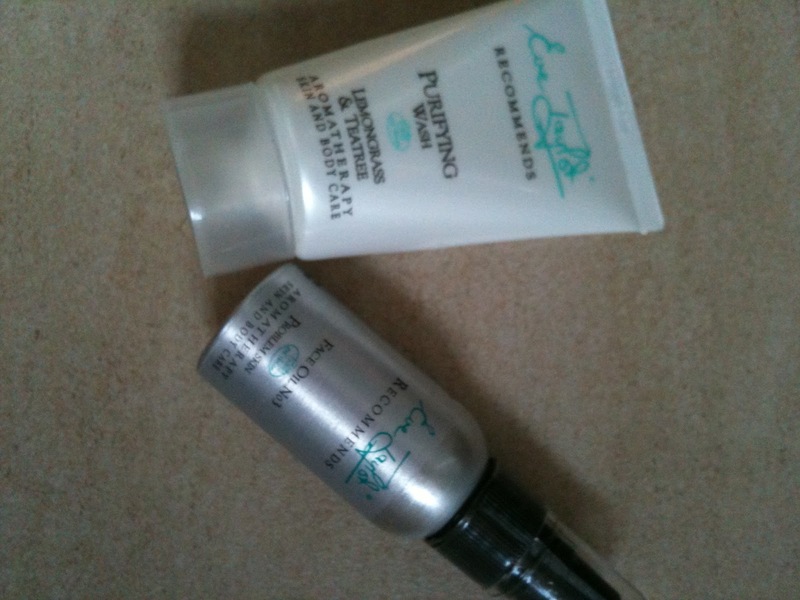 I have recently started using Eve Taylor products as recommended by my lovely friend and Beauty Therapist (she uses them in her salon). 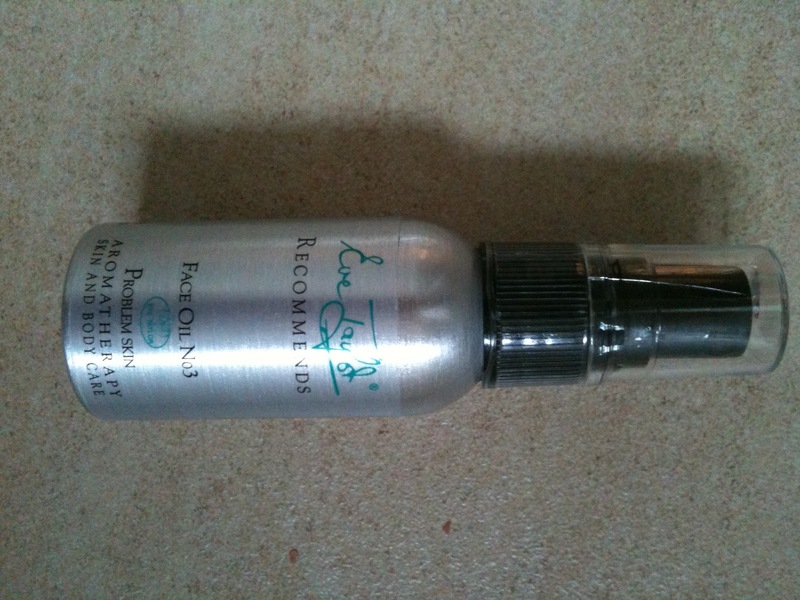 She recommended that I use an oil to try and combat my teenage skin (yes I hear your sharp intake of breath at the horror of using an oil on horrid oily skin)...but it works. 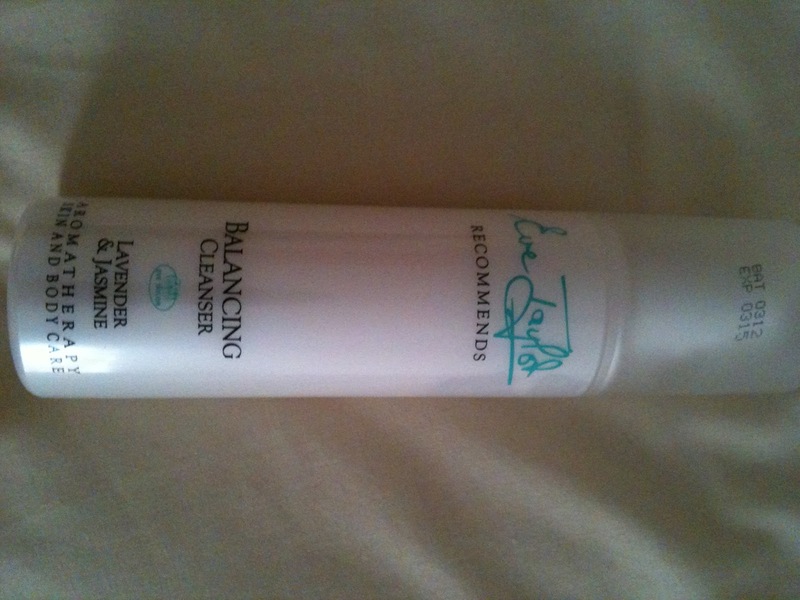 After cleansing my skin in the evening with the purifying cleanser I then add the oil Face Oil No 3 30ml and it smells divine. It's like having a facial every night, even just breathing in the aroma makes me relax. In the morning I cleanse with the balancing cleanser and add my normal moisturiser (currently using Liz Earle Light). Then I use my BareMinerals make up and I'm good to go. I'm really starting to notice a difference in my skin and hope it continues. It's cute but I'm not sure whether I should encourage this behaviour in case she starts to think you carry everything this way! She guards the little penguin and makes sure it's in the room with her, if I roll it away...she just ups and follows and carries it back in her mouth. 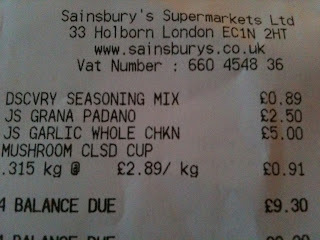 (Spent £9.30 on Chicken, Fajita seasoning, grana padano cheese, mushrooms & the Aubergine was £1). In our cupboards we already had some staples: potatoes, peppers, chilli's (from our own chilli plant), garlic, wraps, carrots & cabbage (for coleslaw), onions, dry noodles, pasta and a pack of mince and a ready to bake baguette. I successfully stuck to the meal plan and didn't spend anymore money than what was above, granted there were other things we already had but that's why I chose those meals, to purposely use up some bits that were hanging around. If I keep this up and manage something similar every week then hopefully this will help cut our food bills (at the moment I have a good stash of homemade meals for Bubba in the freezer). I'm linking up with At Home with Mrs M so go over for more meal plan inspiration. Bubba trying to kick her friend!!! When you are one, friendship doesn't seem to be that important and you aren't really aware of those other people around you that could become important in your future. I hope Bubba makes many friends as she travels through life but I especially hope she makes a few great friends that time and travel doesn't change. A friend, that regardless of how long it's been between seeing them, you instantly fall back into an easy going banter. I am lucky to have such friends, my two best friends I've know from about age five (we all met at primary school) and a fabulous friend whom I met at work but sadly don't get to spend as much time with as I'd like because of distance. We all have babies now and it makes me appreciate my girls more because I see a different side to them now. Time also becomes more precious and even though we all have small people running around, crawling or just sitting we still make the effort to get together. I hope that Bubba can enjoy the same experience and make great friends with whom, no matter how much they disagree, argue, make up and cry together...they will always be true friends. It'd be great if she became friends with my friends girls and we can all ring each other when our teenagers leave the house to meet up. I can hear myself now phoning around saying '"what's your one wearing? where did they say they were going? Shall we follow them?" and then making furtive calls the following day to make sure their stories match!! I often find myself thinking this and on a few occassions I actually say this to Hubby when he is exasperated at Bubba crying, not eating, playing up etc (the list is endless really). If we are having a fun day I do worry that I'm enjoying our time together and there is something I'm forgetting. I wrack my brains and try and think if I've fed her, played with her enough and dealt with all her needs...and yet we are still having fun. When I've got it all together and Bubba is compliant we have a stretch of really great days, then we sometimes have a bit of a rubbish few days and they seem to go on forever! But I do seem to struggle with things sometimes. So if I ring up when Hubby has looked after Bubba all day alone and he says they had lots of fun or she started crawling (yep on his watch) and pulling herself up on furniture (yep also on his watch), I get all tearful thinking 'how comes we have such a rough time sometimes'? I then just have to ask the one question (this is usually after the morning shift) 'have you had a chance to shower and clean your teeth?' and he says 'No'. The smug smile returns to my face and I think yeah....welcome to my world! We recently came back from a wonderful day and night away at a gorgeous wedding and even more exciting, it was Bubba's first formal event. Before we went I must admit, I was nervous. Scared she'd kick off and cry throughout the ceremony or if someone tried to talk to her, my mind just spiraled out of control until I got to the point I could worry no more (and for me that is a serious amount of worry). 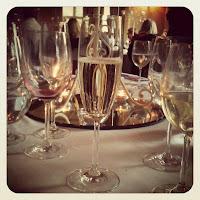 So for me the morning wasn't very relaxed, add to that the fact I was in charge of driving us there...I was in need of a glass of bubbly by the time the wedding started. 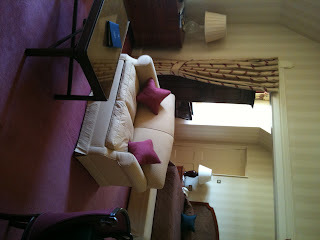 We went to the fantastic Horsted Place in East Sussex and I would really recommend it. The family came out in force and we all stayed which was great. Bubba handled the day really well, Hubby kept her away from the main ceremony which was held outside in the sunshine (she would have got restless) and instead they played a little distance away. But like a little trooper she stayed awake the rest of the day, sat with us all through the early evening meal and even tried a bit of everything from fresh 'tear and share' bread to the duck parfait and also the raspberry dessert (which she couldn't get enough of). The grounds were magnificent, as were all the rooms which are steeped in such history, don't even get me started on our rooms. Completely out of this world (and bigger than my front room!). 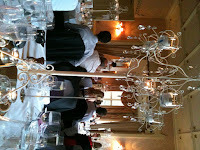 The sun was shining, the bride looked stunning and it was great sharing the day with family. The best bit is it that Horsted Place Hotel is close to the coast and airports and under two hours from London. We felt like we'd been gone for a weekend when really we weren't even away from home much over 24hrs. We went (admittedly by accident) to Ashdown Forest on the way home which was a nice little detour. When the weather was warmer last week, Bubba was at my Mum and Dads and this a photo they sent me. They were trying to show her that wearing a sun hat is a good thing...Bubba still wasn't convinced even though teddy looked quite snazzy. It's funny how patient you have to become once a small person enters your life. A lot of it happens without you realising but somethings take a bit more getting used to (and other things I swore I'd never do). Here's my list - I bet you can add some more to the list? Saying 'no' and shaking head every other minute! Someone stealing my heart in such a big way. 1) We have the worlds dinkiest car EVER! Ok it's not that small but it is small. The week before my due date we went looking at cars as I knew we needed a five door car (only had three door at the time) and so we came away with a Peugeot 107 which I then picked up from the dealer on my actual due date....not at all leaving it to the last minute!!! It can be a squeeze sometimes but with a full tank being £40 and car tax £20 for a year...it suits us for the time being and helps us save money. With such a little engine we seem to be using less petrol now and I'm happy not to be racing anyone away from the lights! If I can get away with it I will walk everywhere (even if it takes me a while to get there on foot). This helps Bubba get some fresh air and also helps me (try) and keep fit and gives us something to do on those days that are long and empty with nothing planned. Now the weather is getting better this is also more appealing to get out and enjoy the sunshine. On a Sunday night I try and put together a meal plan for the week for Hubby and I. 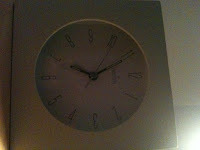 So I plan to get only what we need to eat on that particular week and plan what day I will go and pick up the supplies. It works well as, for instance, we may decide to have roast chicken on the Monday and then I can also make a chicken pie the following night with the leftovers, or a roast chicken stir fry. It saves on money and helps us to not waste food unneccesarily. I'm lucky that I have friends and family that have little girls (a few older than Bubba and a few younger) so we all pass clothes on. Bubba has received some lovely clothes (and swim nappies) in the next few sizes up and also toys that others have grown out of. 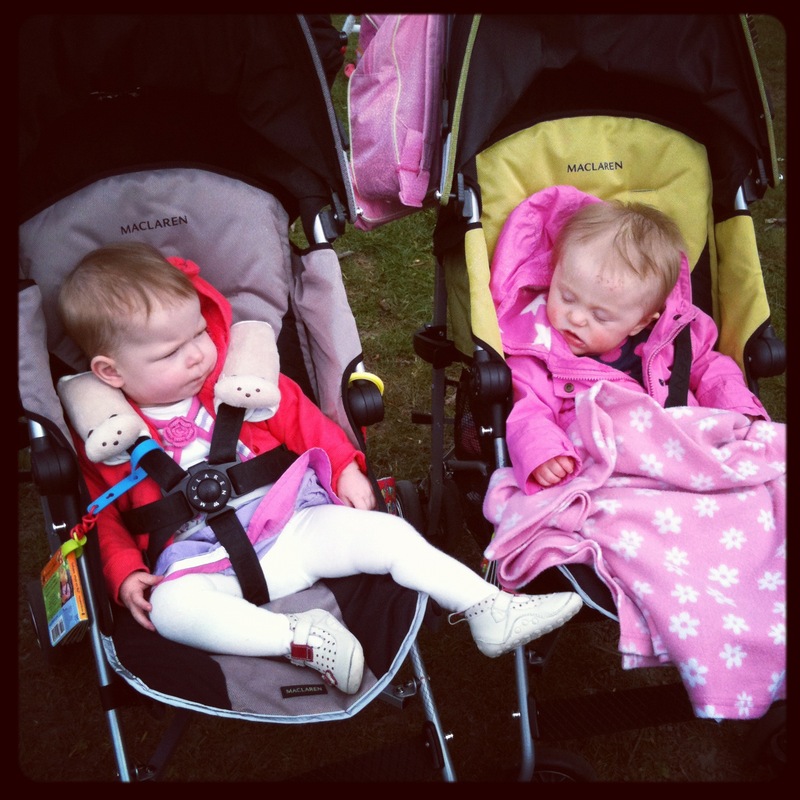 We too have passed bits on to friends with a younger baby and bouncer chairs etc and the best bit is that it saves on space for us as well. We try to cook 90% of our meals from raw ingredients and then freeze leftovers so we have a quick meal when we don't feel like cooking (or are pushed for time). It's nicer because I then know exactly what has gone into our meal and also can cook Bubba a portion to freeze. Don't get me wrong, we do have our blow out nights where we get a take away but its not that often now. 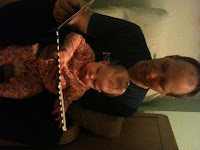 The day before her first birthday, I decided to document the day in photo's. 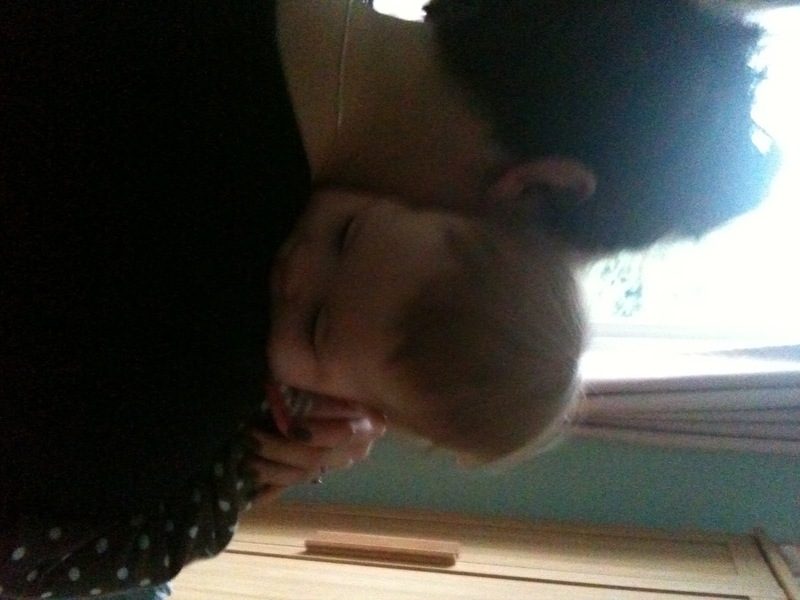 So this is a day in the life of Bubba...sorry the photo's are rather shabby but you get the idea. 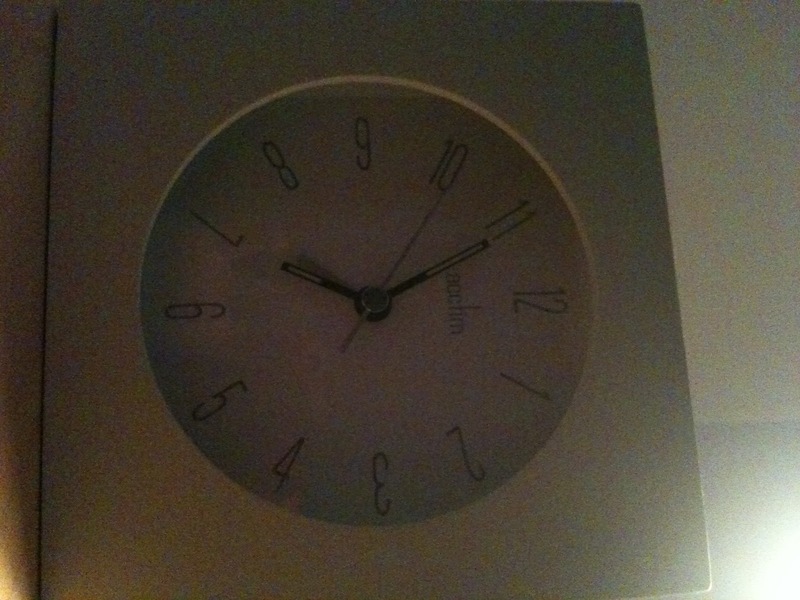 Our day usually begins between 7am and 7.30am with a baby wake up call. 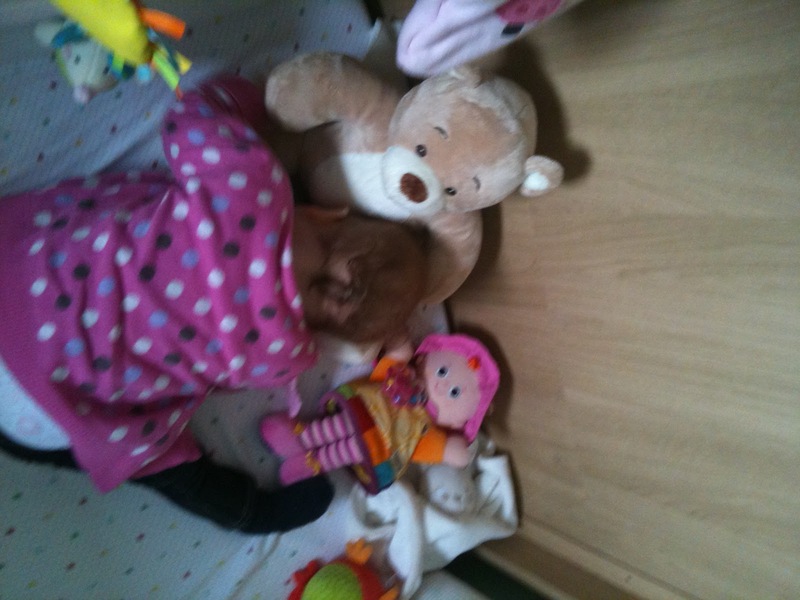 She is usually talking to her teddies and making very cute sing song noises. 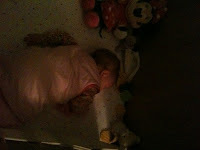 Oh this is usually after we've plugged her (given her the dummy) around 6am. This is daddy giving the morning bottle. She really snuggles down with him (I usually get a wriggly, pointy monster). The two of them have a leisurly book read afterwards, whilst I am getting ready for work. If I'm at home we usually have (or had as she now has breakfast when she wakes) breakfast around 9am...which is anything from weetabix, a pancake and fruit or toast. In between I'd be doing either washing up, washing or making the rest of her lunch. As this was the day before her birthday we had my two best friends and their little ones to play. At this point you can see Bubba is more interested in the TV than the company! We had cakes and tea...the very best pre birthday treat (for me). Bubba had a few rice cakes and her water. Morning nap usually starts around 10am for Bubba but this can change slightly. She is very good at going down, give her a muslin to hold (Hubby calls it her rag!) and she usually turns over onto her side and she is gone. More often than not I find her now sleeping sitting up or with her bum in the air. She sleeps from anywhere between 30 mins and an hour (or last week when Hubby was on duty she slept for a big old two hours). When she wakes we usually have a snack of rice cakes (I have a cup of tea). If we haven't got anywhere to be, we usually play indoors and go out for a walk after lunch. If we are on the way out, I'm normally all packed up and ready just to scoop her out of bed and put her coat and shoes on to go straight out. Lunch is around 12.30 and I've usually prepared lots of little pots of things for her to eat. 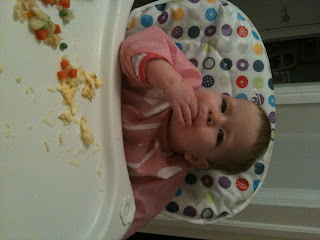 She loves finger foods and so I try and include a pot of mixed veg, pasta, cheese (she goes wild for cheese) and fruit. 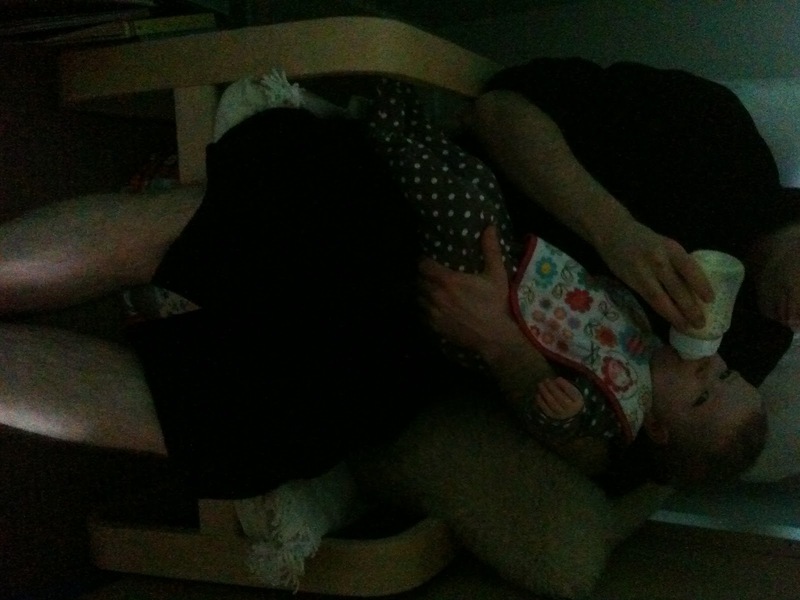 I also have either a tiny pitta, wrap or bread sticks to top her up. This was an unusual day as it was all birthday meet ups so after lunch we headed out to meet the other NCT babies and mummies whom we've know since pregnancy. 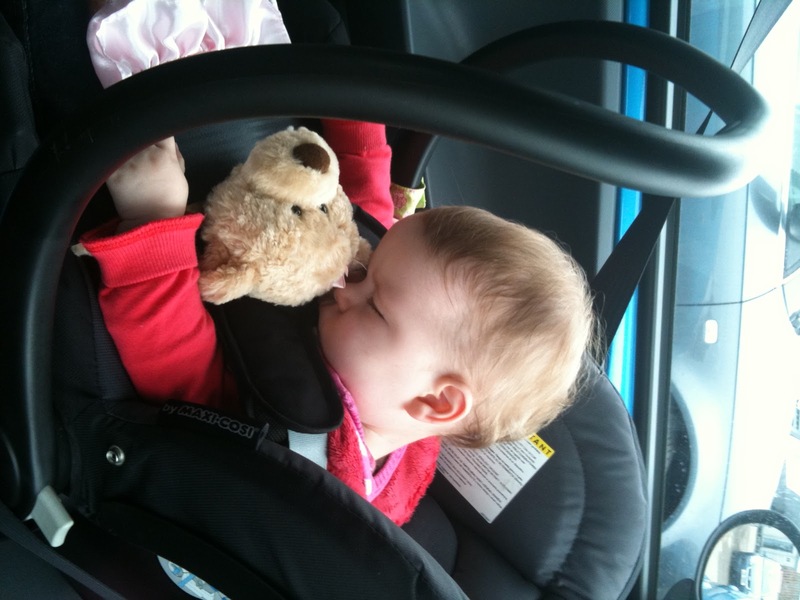 We went to a soft play barn and on the way Bubba had her second sleep of the day (this usually takes place between 1.30pm and 2pm and will usually be a 45 minute power nap. We went home afterwards to let her calm down a bit - she had the rest of her sleep on the way back home so was slightly happier when we got home. 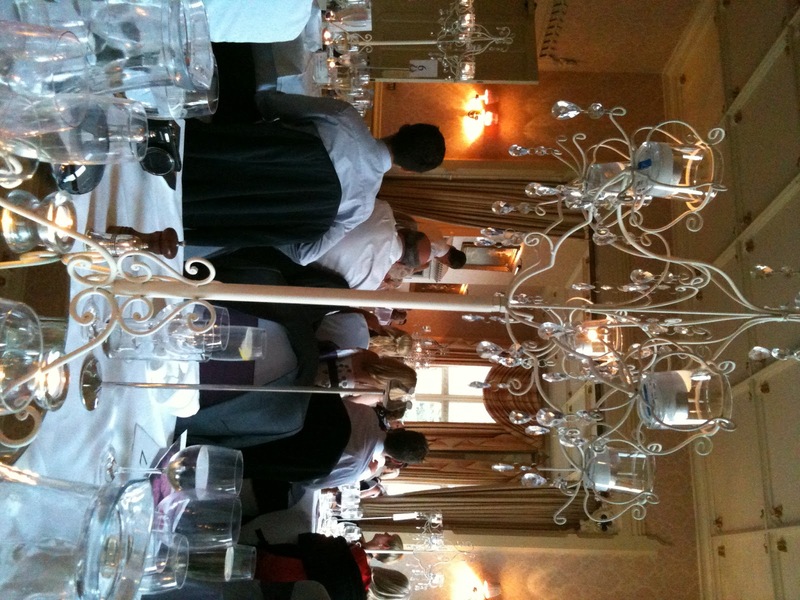 Dinner followed (afer a play) which I start getting ready around 4.45pm so she is ready to eat at 5pm. I try and give her a meat dish (if she hasn't had chicken pieces, ham or fish at lunchtime). Her favourites are beef casserol and spag boul at the moment. She also loves anything fishy...she is into really strong flavoured fish (she also loves a strong cheese it seems) so smoked salmon or smoked haddock go down a treat. Veggie dishes she loves are butternut squash risotto or lovely lentils so I try and mix it up. 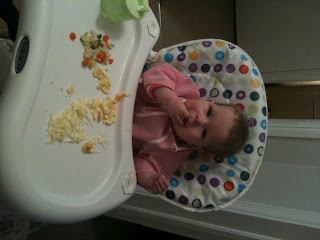 Dinner is normally finished by 5.30pm (if she isn't very hungry and mucking around) or 5.15pm if she is loving it. She has never been a child that takes her time, she loves her food. We then sit down to have a play and watch CBeebies for the bedtime hour, I do the washing up and make her night bottle around 5.45pm and let it cool in a measuring jug. At 6pm I take the bottle upstairs and get her bath map down and blinds down and lights on (to create that night time ambience). 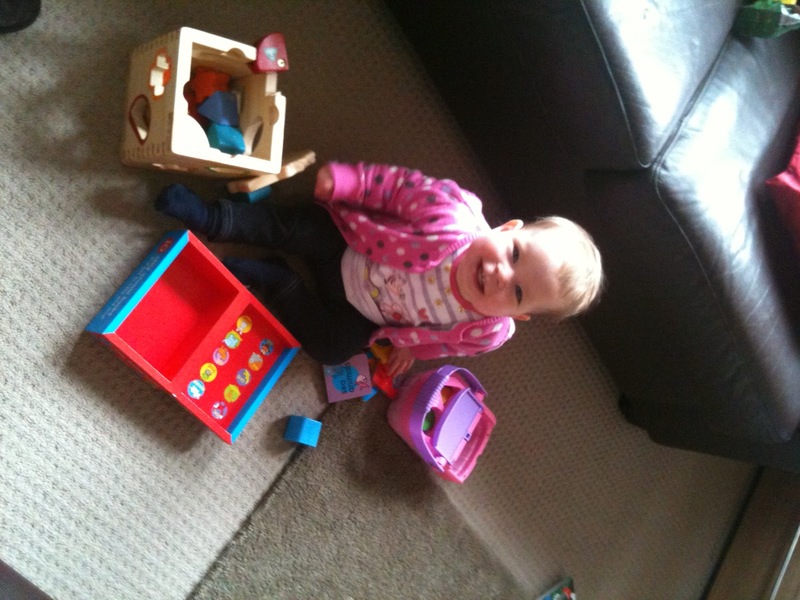 I then clear up the toys as she sits quietly and 6.15pm we go upstairs for bed time (we don't come back downstairs). I used to put her in her cot but the last week or so (with the stair gate up) I let her crawl around while I run the bath and get everything ready. Bath time is now lots more fun, it used to be a problem and she'd scream her way through it. 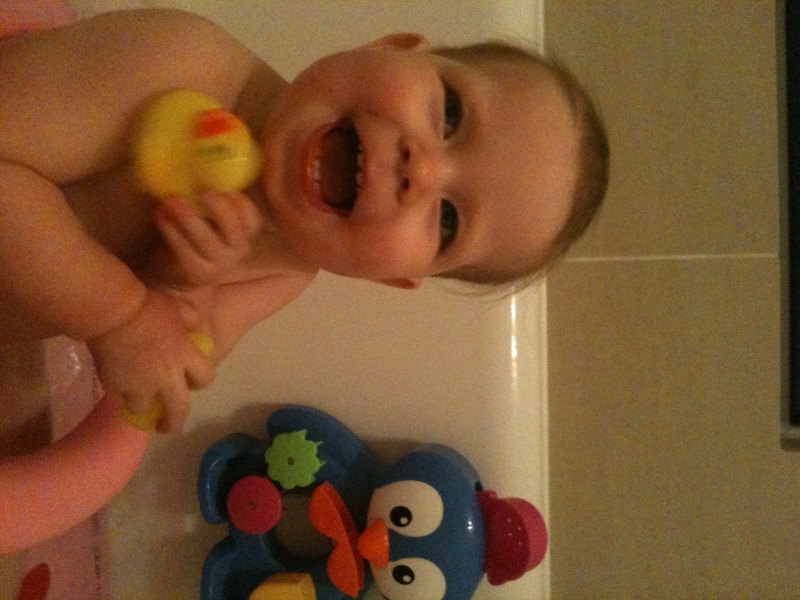 She loves her bath toys and splashing around, she is usually in the bath for five minutes or so. Then I get the best cuddle ever whilst she dries...it's my favourite time as she is really relaxed and happy. 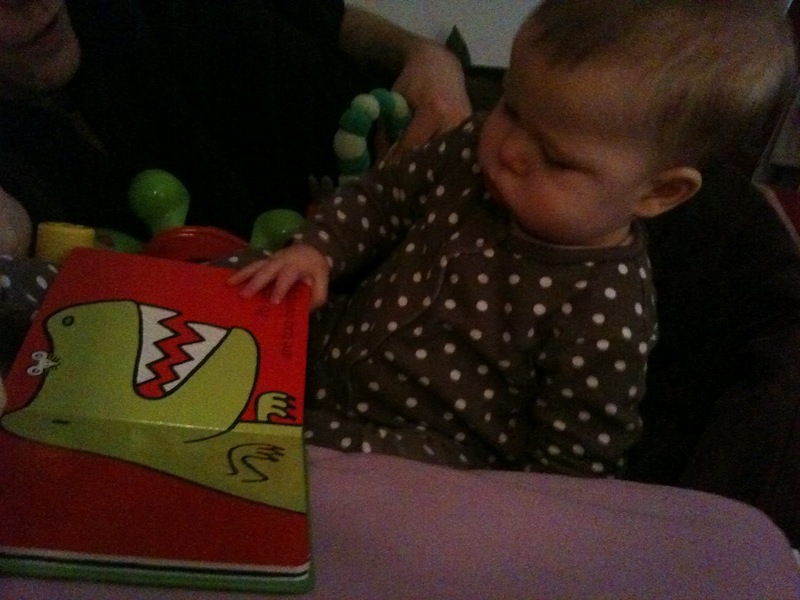 Now it's time for a book and time to let her milk go down (but last month she was having bottle in morning so it would just be reading time). After a quick look around her room, pointing at different toys she is given a kiss and I say 'night night babe' and put her down. Usually she rolls onto her side as I'm closing curtains and turning out lights. I think of Mia and Max before anything else. The choices I make are based on what is best for them. Being a Mum has taught me about what is really important in life and made me appreciate everything I have. An Iphone fully loaded with Peppa Pig and Ladybird books apps – essential to distract/pacify a bored toddler when needs must! 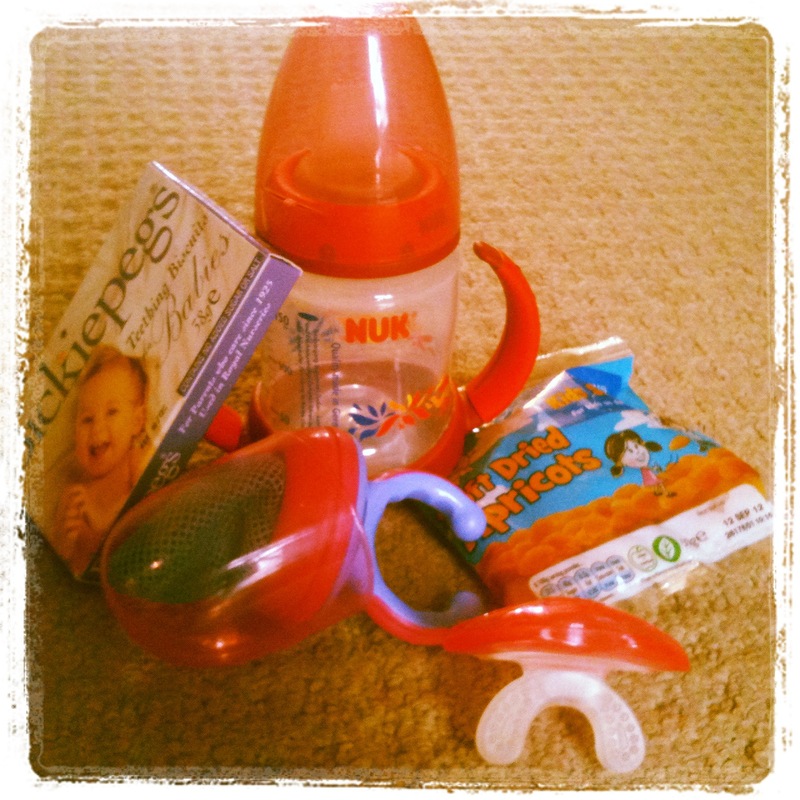 Numerous hairclips for Mia, rice cakes or other snacks, and of course the ever faithful babywipes – I never leave home without them. 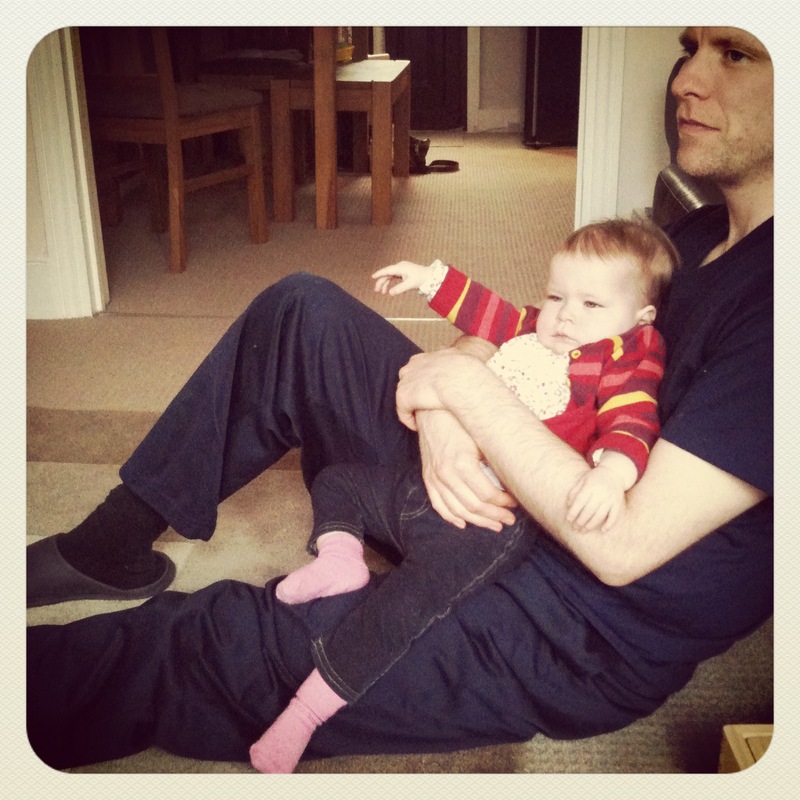 CBeebies – never thought I’d say it but a couple of Mia’s favourite programmes a day helps to keep her entertained whilst I feed Max or run around the house tidying up. The local park – a quick blast of fresh air and a run around the park makes all of us feel better, and is an easy and fast way to revive a grumpy toddler. Playdates - great for Mia to spend time with her friends and enjoy a change of scenery and toys, and great for me to get out and catch up with friends. 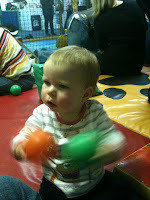 Friday playgroup in a local church hall – both Mia and I look forward to it each week. 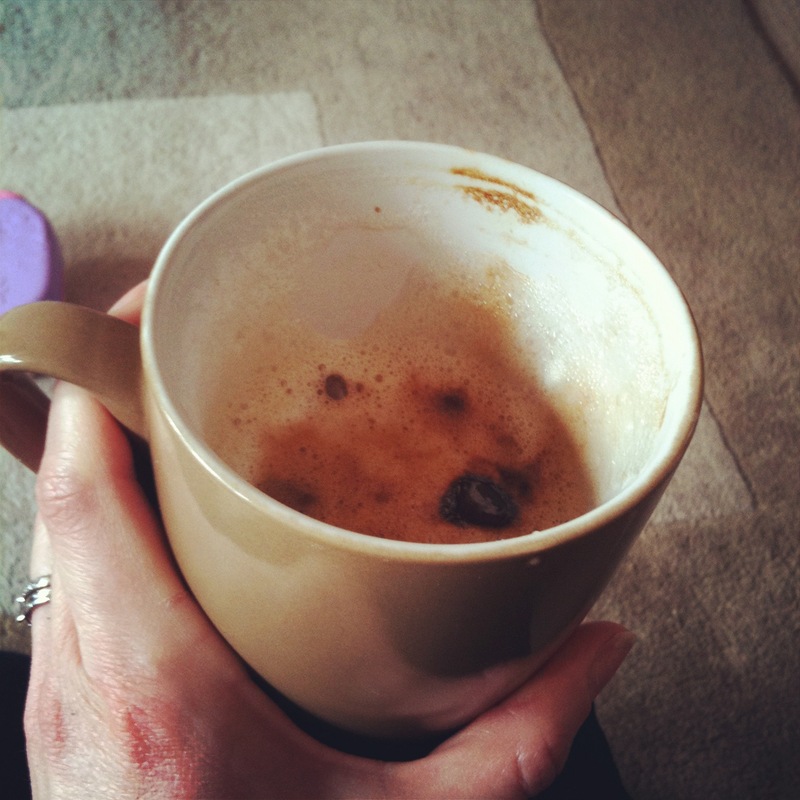 It gets us out the house, lets Mia play with lots of kids and they serve coffee and biscuits which suits me down to the ground! My parents – a godsend in helping out. And a very hands-on other half makes life easier. 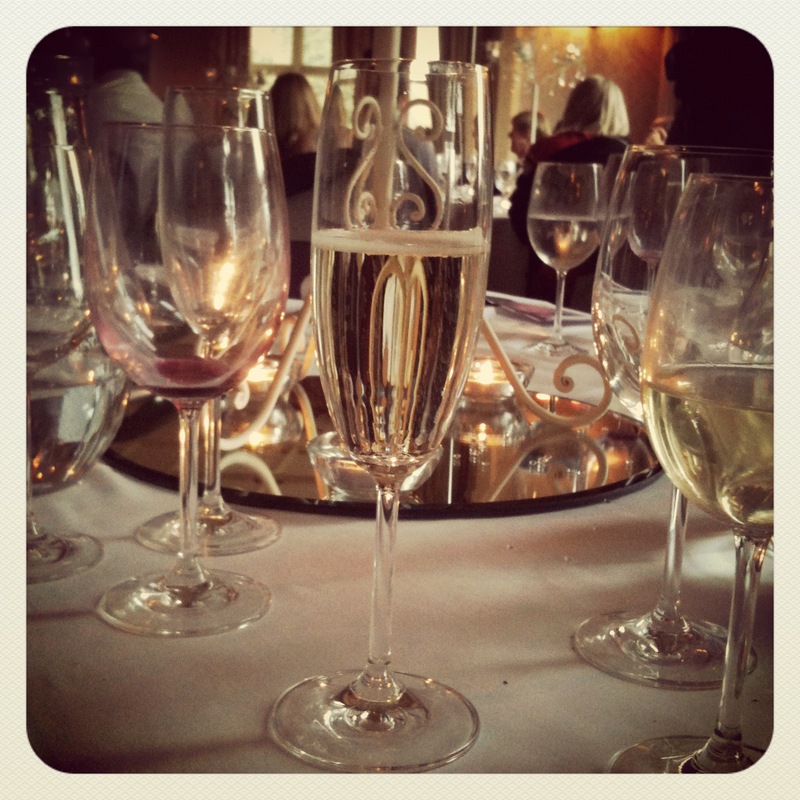 Both bits of advice come from fellow mummies who have shared their wisdom with me…. 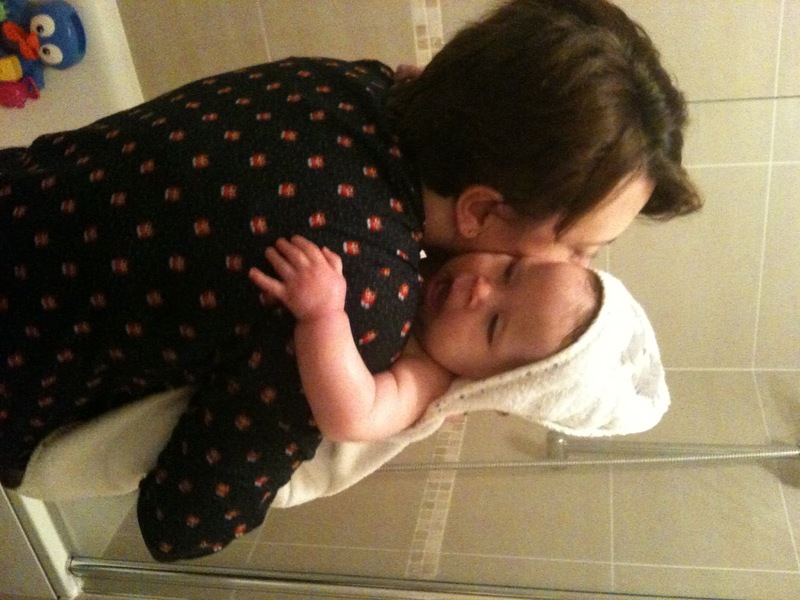 Don’t dwell on the night before – essential advice when in the newborn sleepless nights phase. I always try to get up and treat each day as a fresh start, over-analysing a bad night makes me feel stressed and is counter productive. Don’t sweat the small stuff – there will always be battles when you have a feisty toddler so choose which ones really matter and let the smaller, less important ones go. I have used the Community forums on Babycentre.co.uk since I was pregnant with Mia 3 years ago and always found it a really useful resource. 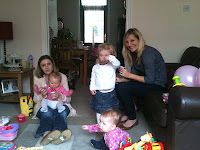 I like Netmums.co.uk for local information about what’s on in my area and ideas on things to do. We had lots of fun trying to make this video and I must say Hubby seemed to be doing his best air hostess hands in demonstrating. I sound like a constipated librarian (hope I don't sound like that in real life and I love librarians by the way...). I think the Priori is a really good seat so far, I've been able to recline the seat whilst Bubba sleeps without waking her up. 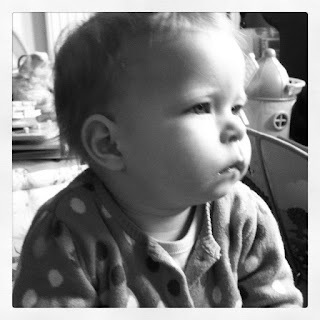 The only negative is that it makes my little girl look like a grown up girl and I'm not sure I'm ready for that yet! Bubba hasn't always liked travelling in the car and I've, at times, found it stressful but we are it seems at the point she is accepting it as a necessity. 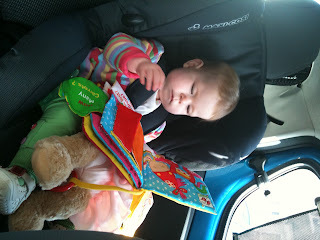 Car Seat - we've just upgraded to the big girl seat and chose the Maxi-Cosi Priori (you can see the video demo we did when I get round to uploading) and already I love it. She is forward facing and it makes life so much more interesting for her. 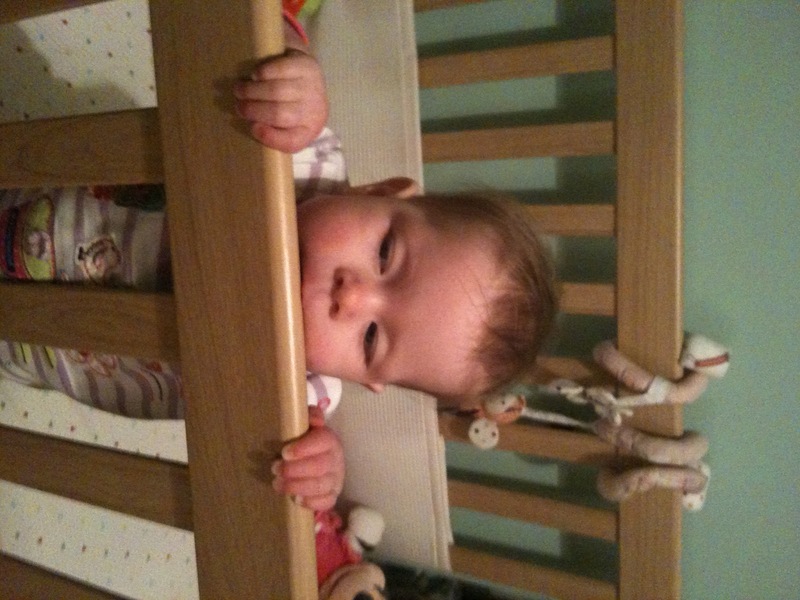 It has a three position glide bar that allows me with one hand to click it down if she is asleep or looking a bit heavy eyed. Mirror - we don't need to use this now as she is forward facing but I found it to be the best thing when she was in the back. We could both clearly see each other and so I'd know what she was doing. It's a big round mirror that attatches to the headrest in the backseats. Blinds - We used to have pop up cat blinds but now we've upgraded to the sun blinds that can retract so I don't have to now faff around making sure they don't pop up when I've stashed them in the side pockets. 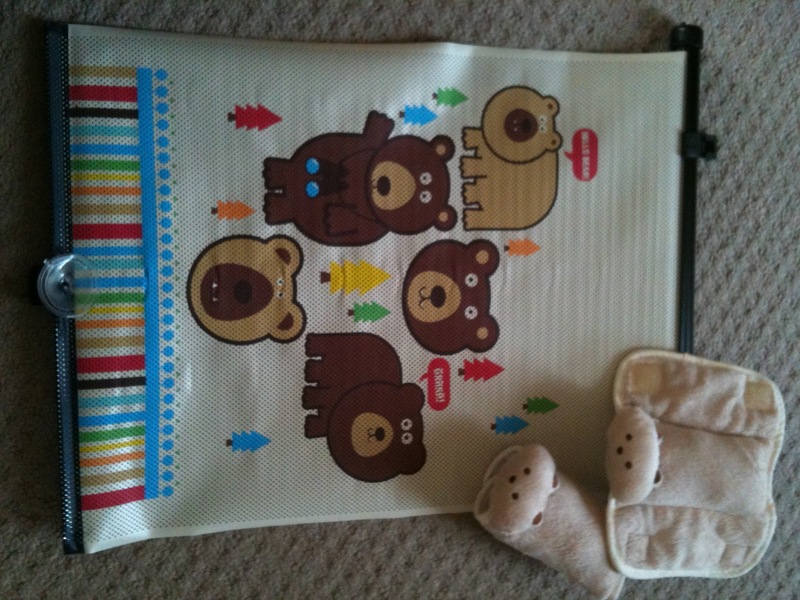 Cushy bear strap covers - these were so adorable that I had to get them, they make sure Bubba doesn't get strap burn on her neck. Well that's my excuse anyway. 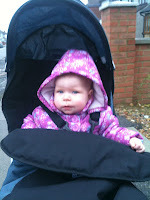 I've been using them in her Maclaren as she likes to slump in the chair and rest her head on the side (watching the pavement going past!). Toys - I cannot go anywhere without toys for Bubba. 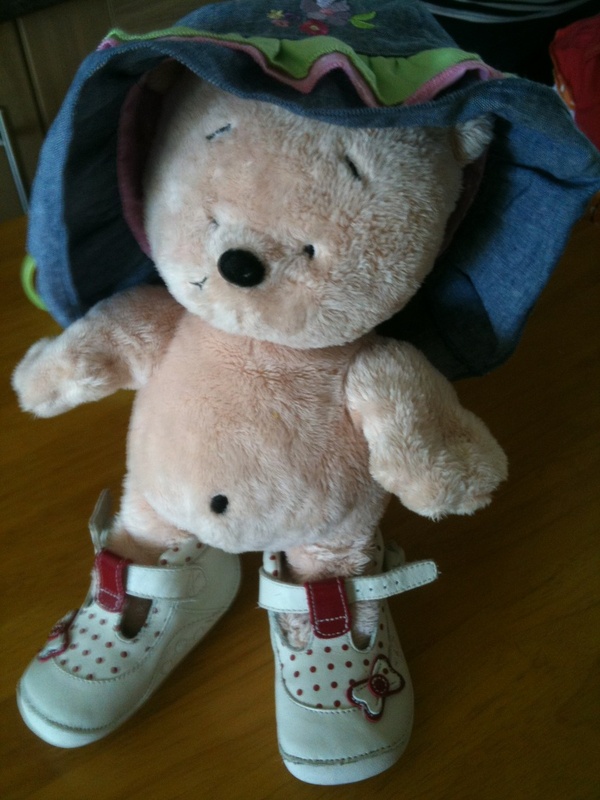 Now its usually a cuddly teddybear or twinkle the baby ballet bear. This isn't going to be one of the most intellectually challenging of posts but after just stepping on something with bare feet (yet again) it made me think of everything I seem to step on now! Bubba has a new trick, its basically just lobbing any food item she doesn't fancy the look of over the side of her highchair (also includes her bottle, spoons, anything she can get hold of) whilst shaking her head at me and saying 'NO' as loudly as she can. 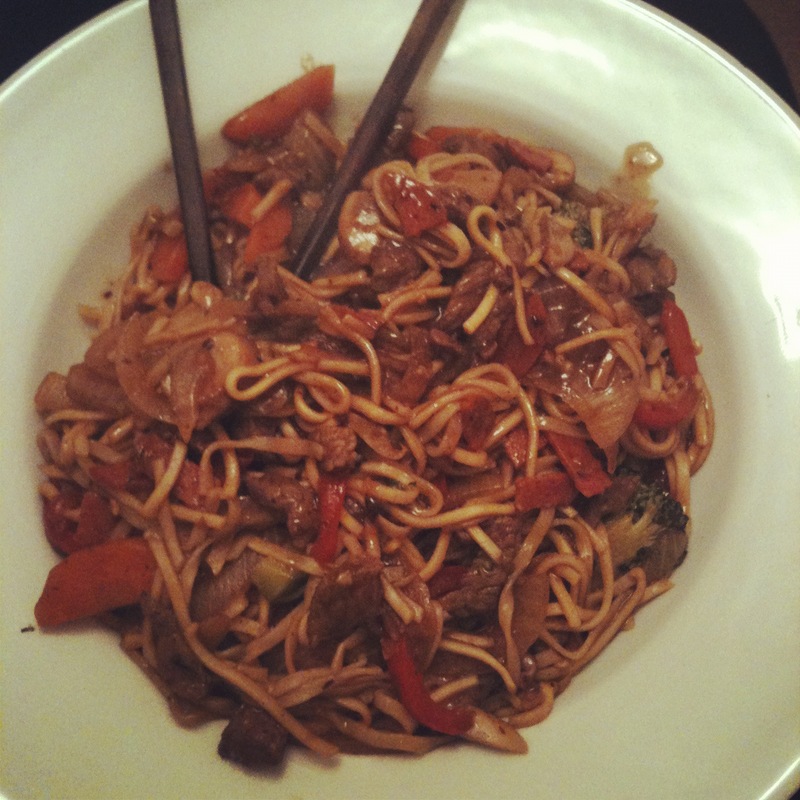 Today was cold pasta that is now attatched to the bottom of my (bare) foot! Again, as she perfects her Olympic throwing technique I usually end up scrambling over wooden puzzle pieces to get to the phone before it rings off. 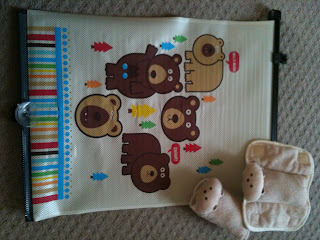 These particular puzzles have hard little plastic handles - ouch! But she loves a good puzzle. Not real animals, so please no phoning the RSPCA! I always get that moment, especially if its in the dark, where I freeze and think 'what is that, IS THAT FUR!! !, is it real?'. 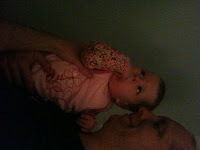 Then I have to scrabble around in the dark to find it and put it back in her cot. This again is disconcerting because its hard and squidgy all at the same time. You aren't expecting it to be on the floor, as it should be happily clamped into Bubba's little goblet! 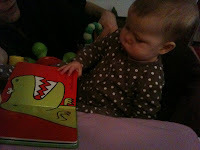 I'm glad she doesn't have it too often so this is one of the more infrequent of items. This is by far my worst one. Usually because I'm never certain why the floor is wet and in my mind I'm trying to work out 'is it water from her beaker, a bit of dribbe or something worse?!?'. It's worrying to work out why I missed it in the first place and where else might be wet. I'm sure these things are only going to get worse as she is on the move more and more. Oh the joy!! 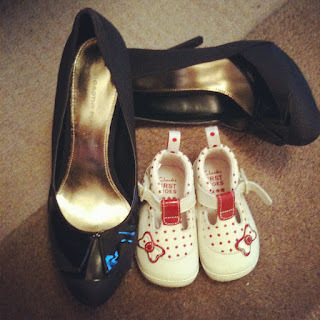 On Friday my mum, bubba and I went to Bluewater and we purchased Bubba's first pair of shoes. Now this wasn't the monumental and endearing moment for any of us as the minute the lady knealt in front of Bubba...it went pear shaped! Now my small child isn't that good at the moment with strangers, so I knew it wasn't going to be the best moment but wasn't expecting the level of crying and big ploppy tears we were faced with (she didn't even cry that much at the latest set of jabs). The only good thing is that she loves the shoes which I guess is the main thing. I had to have new shoes too! On Saturday morning Hubby fitted a safety gate to the top of our stairs. We only have a dinky house and not much of a upstairs hallway (well none at all) and so the stairs are always in close proximity. Until now I couldn't really let her crawl around....now it's a whole new world for us both as I can leave her in one room (we only have three rooms upstairs!) and feel safe that she can either follow me into the next room or keep herself busy where she is. The most monumental change was the steriliser is now in the loft which seems a huge sign that she is growing up. I remember we used to be a slave to that steriliser, always worried if things weren't put in on time or missed out! We also took her out in her new forward facing car seat - It is the Maxi Cosi Priori. I wasn't sure if I was ready for this but I knew she was so it is nice to see her seeing the world forward instead of reverse. But she really looks grown up now and what with wearing her new shoes it all got a bit much for me. I feel a little bereft about it all, where did my baby go? 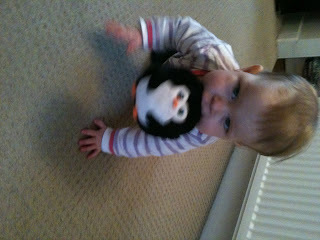 She is starting to need me in different ways now...all part of growing up I guess!